PARKING -the 2nd Floor at the Lighthouse is as good as it gets! The 2nd floor is the only floor featuring covered parking where you can walk directly into your condo w/no elevators! CONVENIENCE/LOCATION-LOCATION-LOCATION! 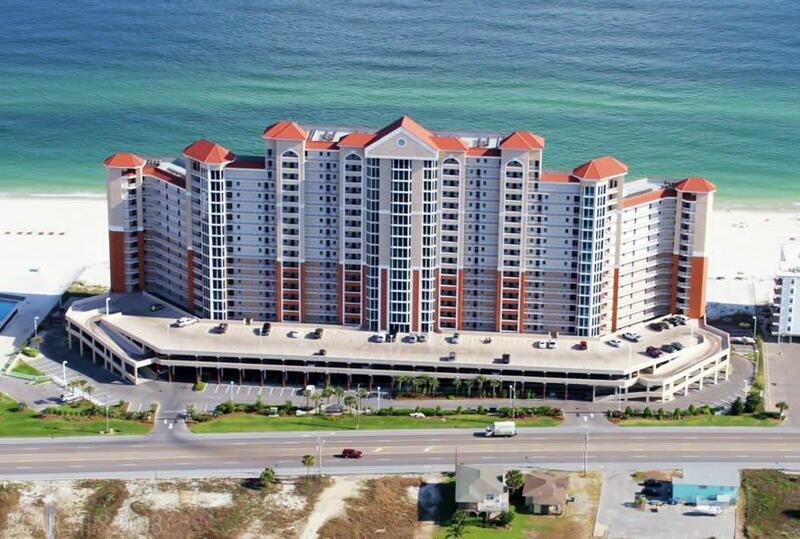 No matter whether you're wanting to take an elevator or the stairs, unit #217 is one condo away from either of 2 stairwells which go 1-flight down to the beach, it's also one unit way from heated/cooled lobby for one of Lighthouse's high-speed elevators! SLEEPS 6! This unit is a 1 Bedroom + Bunk room (features ADULT-SIZE BUNKS + place to hang clothes, and store luggage, all built-in) with TWO BATHROOMS. 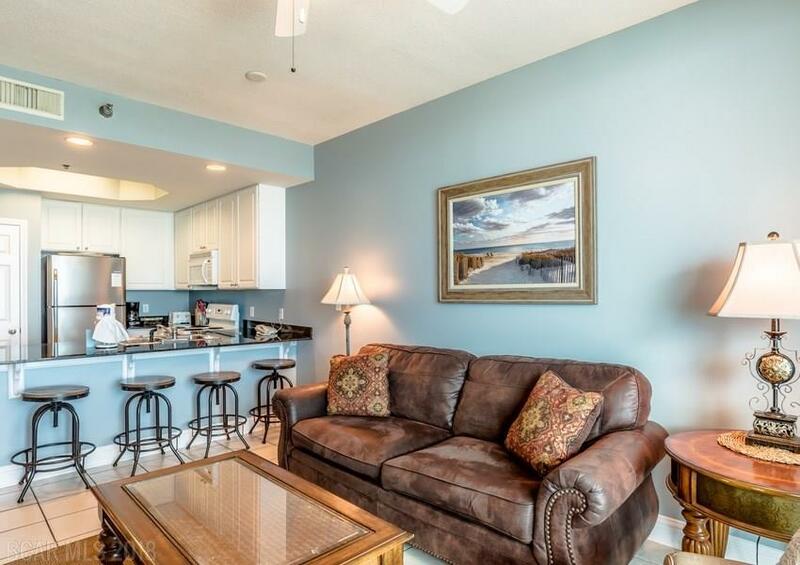 FLOOR-TO-CEILING WINDOWS: Living Room & Master Bedroom both offer breath-taking views of beaches & Gulf waves! 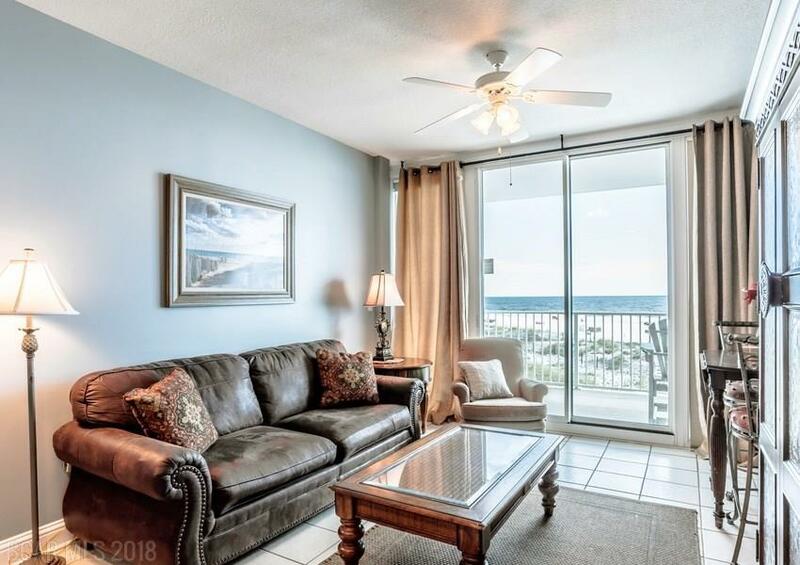 OVER SIZED BEACHFRONT BALCONY WITH BRAND-NEW FURNITURE: Over sized balcony with plenty of room to stretch-out and multiple seating/relaxing options while you sip coffee, or your favorite beverage as the Dolphins play and Pelicans glide by overhead. Large luxurious furniture sets on balcony: Tall Bistro Set w/Table and 2 seats + 2 Seat/Stools (Seating for 4) + 2 Adirondack chairs. The living room features a tall bistro-style table for waterfront dining, as well as a Full-size Sofa - with QUEEN SOFA SLEEPER! New flat-panel TV, DVD player and Stereo finish-out living room. 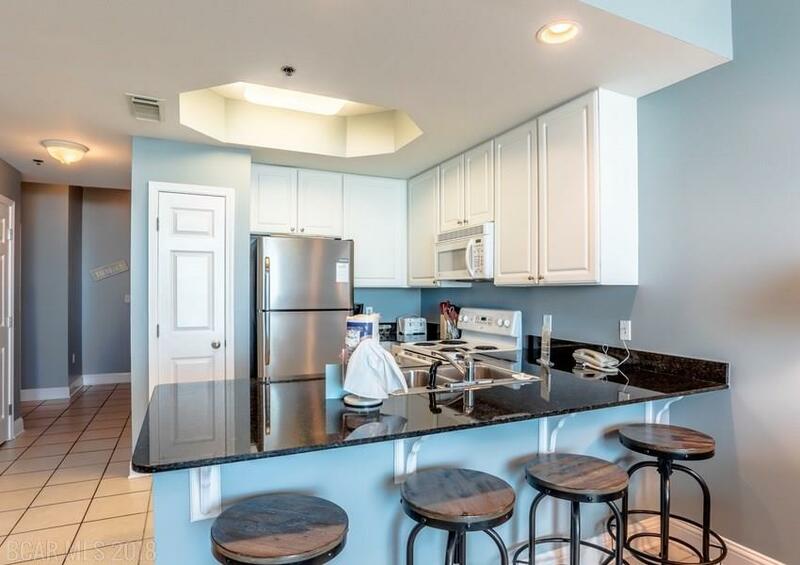 KITCHEN features granite counters, bar seating for 4, with newer Stainless Refrigerator, stove microwave, pantry & all the essentials. Excellent rental income, all new paint in 2017. Perhaps the best part, just a short walk down the beach to dining and shopping! Call today! Listing provided courtesy of Bellator Real Estate & Dev Fairhope. Listing information © 2019 Baldwin County Association of REALTORS® MLS.